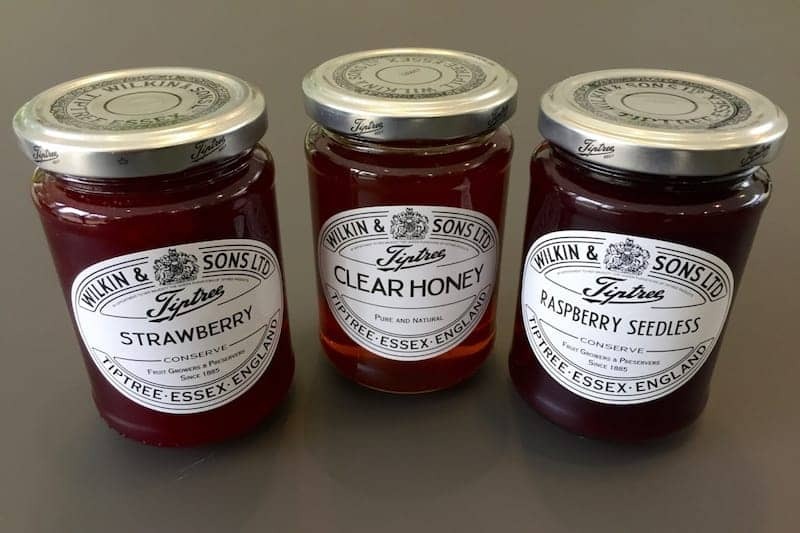 The Wilkin family set up a fruit farming business in Tiptree, Essex in 1865, soon developing preserves for which the Tiptree brand has become world famous. It has been holder of a Royal Warrant since 1911. The fruits used in its products are home grown, the best known is its Little Scarlet strawberries, grown exclusively on the Tiptree estate. Up-to-date farming techniques ensure that selected varieties of high quality fruit can be preserved while retaining the flavour of the finished product. The product range now includes savouries, honeys, curds and jellies in addition to conserves.